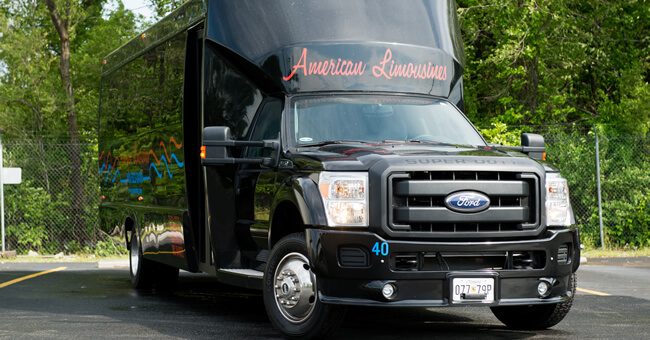 Party Bus Rental in Baltimore - American Limousines, Inc. Whether you live in Baltimore or are planning on visiting, navigating Maryland’s roads can be tricky, time-consuming, and even frustrating. 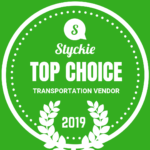 That’s where quality transportation services come into play. American Limousines offers everything from global corporate travel to transportation for wedding celebrations and a magical night out with friends. Whether you want to catch a quick ride to a destination nearby via sedan or take advantage of the party bus rental Baltimore services, you have so many options available for you to enjoy, including school buses, SUVs, trolleys, motor/mini coaches, sprinter limo, and more. 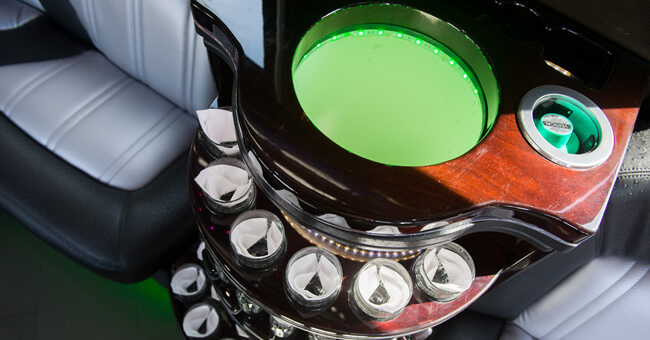 The luxury of riding in a limo with much more space, equipped with 7-foot-high ceilings and enough room for up to 27 passengers. Full functional bar with complimentary water and soda, champagne coolers, and glassware. Full surround sound for TV systems and DVD players. Privacy curtain between passenger cab and entryway. Privacy tinting on bus windows. Fiber-optic mood lighting throughout the interior. 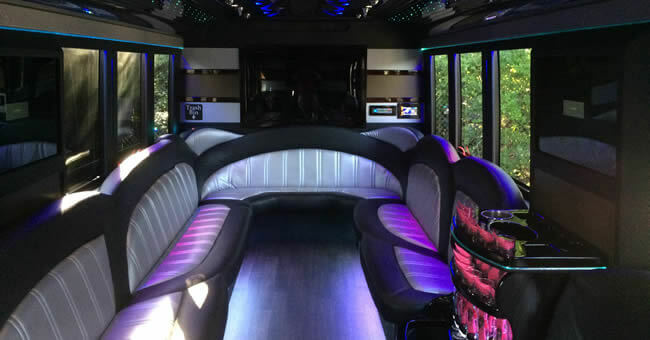 Whether it’s a special day and night with friends or family or you’re just in need for some quality transportation, driving around Baltimore with a party bus Maryland rental is a luxurious, stress-free, and enjoyable way to ride. To learn more about party bus Maryland services, give American Limousines a call right away at 800-787-1690 or visit us in person at 4401 E. Fairmount Avenue, Baltimore, MD 21224. Whatever your transportation needs are, we’ll make sure you enjoy the ride!